What do you do at iHASCO? 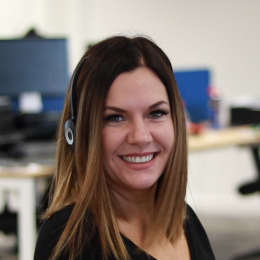 I’m an Account Manager, I maintain relationships with clients and make sure they get the most out of our training suite. I have jumped out of a plane at 14,000 feet. That’s a tough one… I LOVE food!!! But if I had to choose it would probably be Chinese or Thai food. Of all time, what's your favourite movie? If you could go anywhere in the world - where would you go and why? When you were little, what was your dream job? I really wanted to be a Dentist! What's your favourite book and why? I haven’t read a book in ages! I don’t get to read much with a Toddler! I mainly read Thomas the Tank Engine books at the moment.